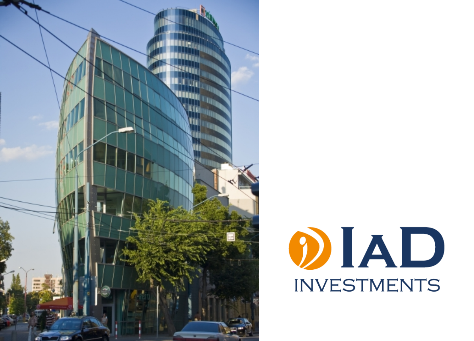 IAD Investments as the oldest Slovak asset management company has provided financial services in Central European countries since 1991. As a part of its European operations, IaD Investments manage assets in Slovakia, the Czech Republic, Hungary and Poland with a total value of almost EUR 980 million. The ALDREN project, awarded by the European Commission in the H2020 research and development programme, answers a market request for common reliable tools to promote and implement a procedure for non-residential buildings in order to support building deep renovation operations. ENBEE, as ALDREN consortium partner and task leader, met IaD Investments management board to discuss the participation of this important Central Europe operating investor on real implementation of ALDREN procedures in pilot studies. The different ALDREN outcomes were presented by ENBEE to IaD Investments. IaD Investments is interested to join ALDREN because operating EU wide a common European voluntary energy performance certificate (EVC) allows comparability and reliability. In addition ALDREN provides a renovation Roadmap for existing buildings towards Nearly Zero Energy Building (NZEB), the comparison of measured and predicted energy performance and the link between wellbeing and asset valuation which are all very important topics for a modern management of commercial buildings.